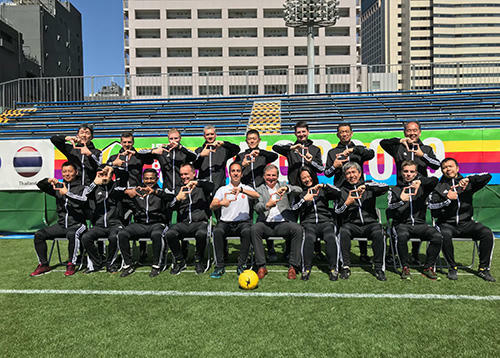 At the IBSA Blind Football Grand Prix in Tokyo, the JADA in partnership with the International Blind Sports Federation (IBSA) collected the message for "clean and true sport" from 16 world-leading blind footballers as part of the "i-PLAY TRUE Torch Relay", Tokyo 2020 legacy project. 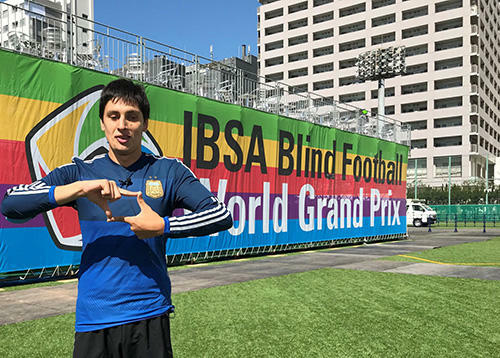 IBSA and JADA will continue their partnership to promote clean sport and plan to expand the project to goalball and judo - the two other IBSA sports which will be contested at the Tokyo 2020 Paralympics. © JAPAN Anti-Doping Agency | All Rights Reserved.